An employee training form comes in handy at the time when companies conduct external training sessions or programs for their current or new employees. The feedback form has a list of choice-driven questions which subjects must answer as per their will. An employee performance feedback form usually consists confidential materials which are only disclosed to and shared between the concerned employee and the manager or supervisor. The form essentially carries the overall employee performance based on various parameters. For the new recruitment in a company, it is a norm that induction training or induction orientation sessions are carried out. Post which, the new inducts is handed over employee induction forms which they have to fill and rate different aspects accordingly. Companies carry out drives wherein existing employees are given an employee satisfaction form. 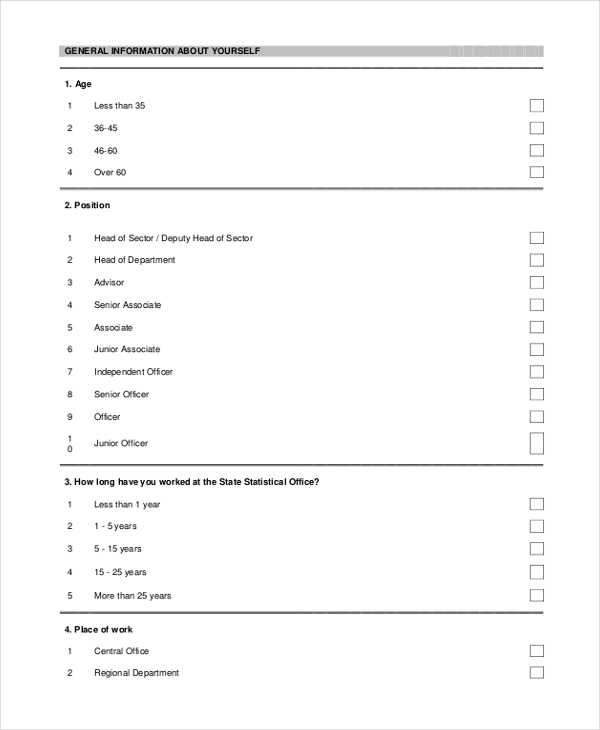 The form contains a set of ratable questions which the employees have to rank according to their wish, thereby displaying how much satisfied (or not) they are in the current place of employment. 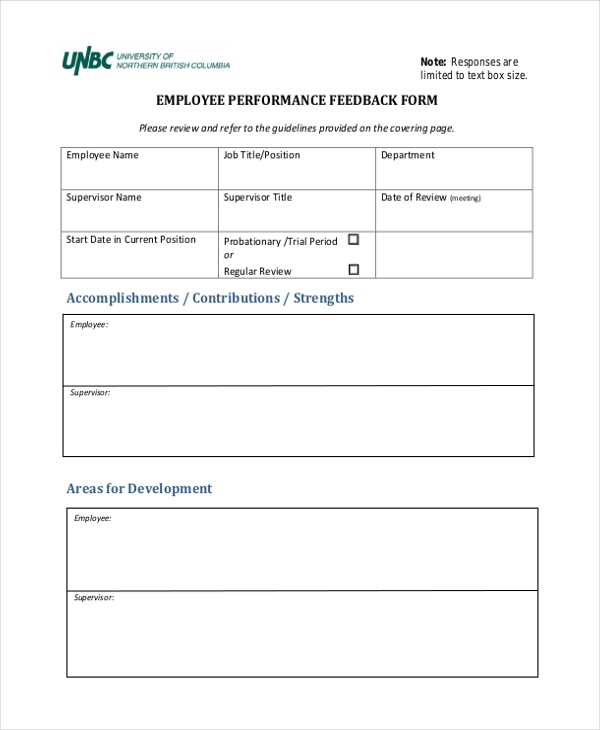 An employee feedback form essentially used to take ideas and suggestions from employees for the improvement of services or products in a company. The form is quite elaborate and tends to have multiple sub-headings under which a queue of relevant questions is asked. 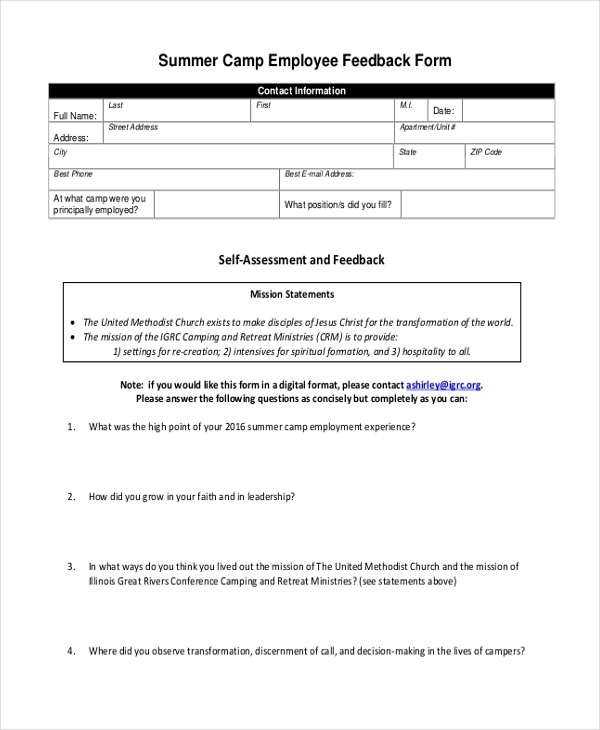 A summer camp employee feedback form is a useful scenario where employees go out for office excursions and summer camps in order to take a break together and come back rejuvenated. Usually, the summer camps are planned and consist of many engaging activities. After the camp or excursion concludes, the employee participants are expected to dish out their views and thoughts in a summer camp employee feedback form. 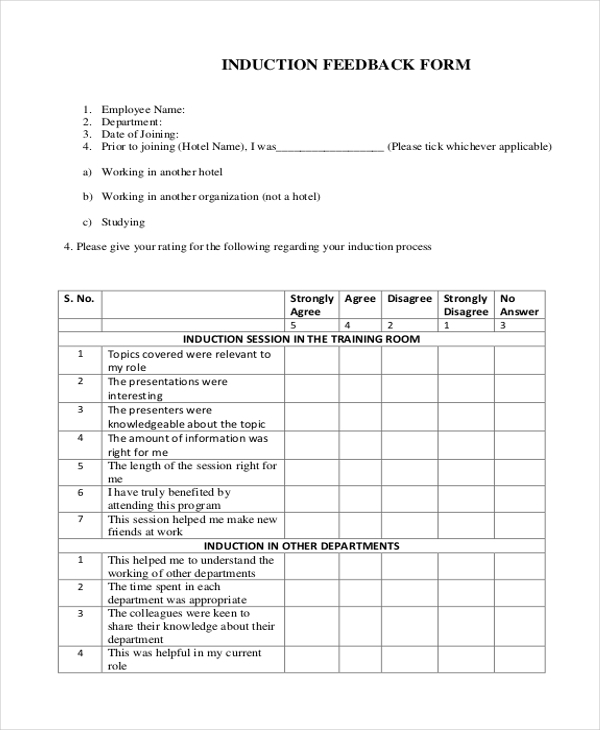 A confidential feedback form is given to employees to seek their views and opinions on the workplace environment, products and services deliverables etc. The focus of a confidential employee feedback form is to engage employees in sharing their views and thoughts. It is important that a client’s feedback is sought after the completion of a project. A client feedback form is very useful in this regard. It provides questions and relevant remarks pertaining to the project and how well the project team performed leading up the project’s conclusion. 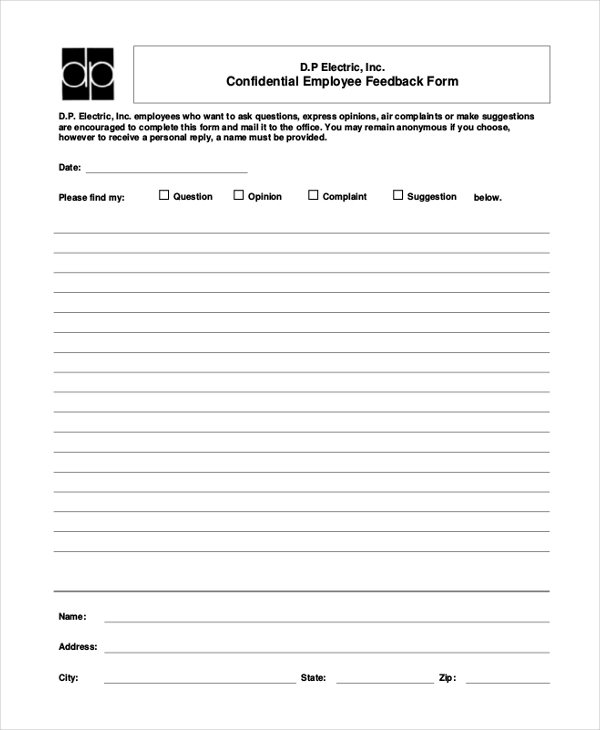 Companies and professionals use employee feedback forms to gather information of two kinds. The first is employee performance feedback. 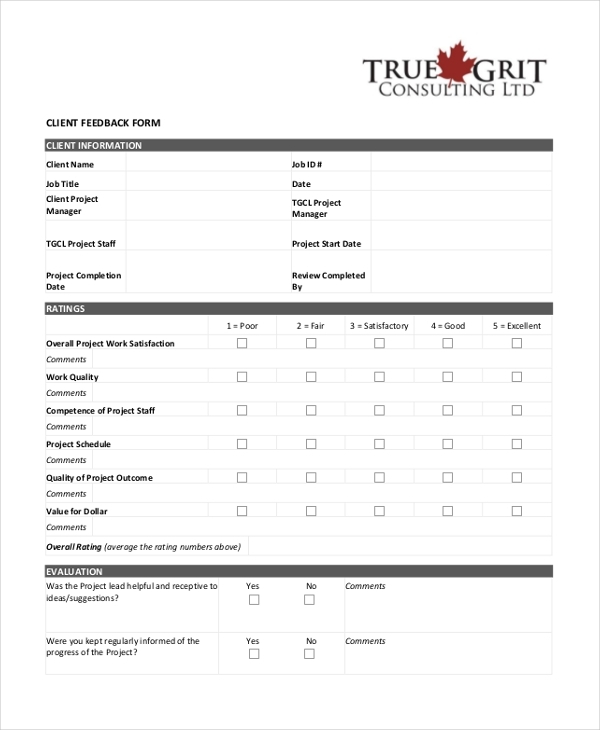 Employee feedback forms are prepared to match the needs of the company or organization. The parameters are established based on which the ratable or remarkable questions are posed. 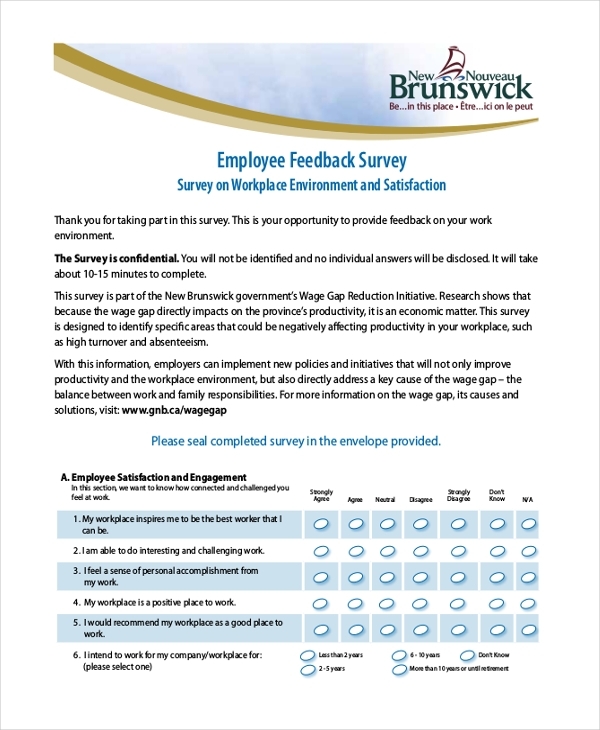 The second usage of employee feedback forms is to gather information from employees or about employees so that the company can improve, revise or reviews its plans of work. To say that employee feedback forms are not necessary and important would be a big misjudgment. Employee feedback forms are crucial and they play a significant role in improving an employee’s merit and a company’s worth. The format and layout of employee feedback forms may differ but the purpose is the same…by a long shot!